Spiio released its second-generation wireless sensor, the SP-110, enabling a new data dimension for smart irrigation in the green industry. The SP-110 includes four sensors: soil moisture, temperature, light and nutrients. The sensor integrates with smart controllers, allowing for full automation. It comes with the highest possible IP grading (IP69K) making it exceptionally durable and it has a battery life of five to six years. “Access to more data will not only help us immediately save water in commercial greenscaping, but over time boost the landscape architect’s possibilities when it comes to greening our future data-driven and sustainable super-cities,” says Martin Dal, CEO, and co-founder of Spiio. 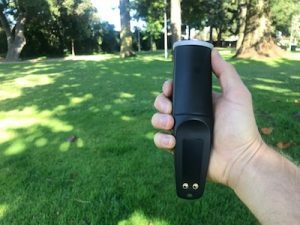 The data from these SP 110 wireless sensors will make it easier for commercial landscapers, green designers, horticulturists and agricultural growers to use smart irrigation to maintain their projects and make better decisions about water usage, according to Spiio.